South32 is a resources company built around a single idea: that in a rapidly-changing world, we have an opportunity to make a difference, from the ground up. The roots of South32 are in the Southern Hemisphere, with a head office in Perth, regional hubs in Perth and Johannesburg, and marketing office in Singapore. Our shares trade on the ASX, JSE and LSE under the listing code of S32, and our operations span the globe, with assets in Australia, Southern Africa and South America. We are a globally diversified metals and mining company with a portfolio of high quality, well maintained, cash generative assets producing bauxite, alumina, aluminium, thermal and metallurgical coal, manganese, nickel, silver, lead and zinc. We are the world’s largest producer of manganese ore, and own the world’s largest silver mine. We run exceptionally high-quality alumina refinery and two modern, cost-competitive aluminium smelters. And we run one of the world’s leading ferronickel operations. We believe that the creation of value can make a real difference to the communities in which we operate, and we are committed to realising the potential of resources; human and mineral. By meeting the needs of our employees, our host communities, and the governments who represent them, we enhance our licence to operate. 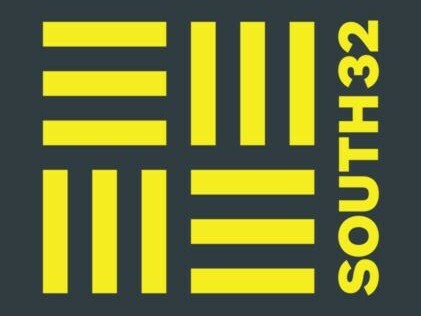 South32 is a new kind of resources company, one that believes people working together can create a brighter future for all.